Privately owned and managed by Alison & David, the Coachman Caravan Park is perfectly located for you to indulge in a wonderful holiday in this beautiful part of North Yorkshire. 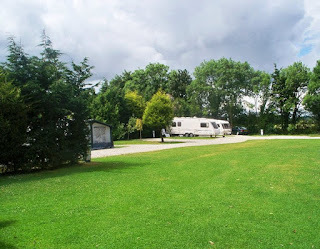 Whether you want to relax on the beaches of Scarborough, Bridlington, Whitby and Filey, visit places of historical interest such as the North York Moors Railway, Heartbeat Country, North York Moors or pursue pastimes including cycling, walking, fishing and golfing, this caravan park is the ideal retreat from which to explore Yorkshire. 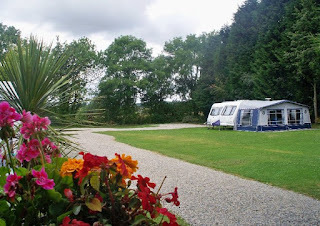 We offer you a lovely homely site with facilities to match. Our toilet and shower block is maintained to a standard that you would expect at home. Each individual large hard standing pitch has its own water & electric supply together with night lamp & TV point. We try very hard to provide you with a lovely place to stay and we must be doing something right as repeat bookings are now normal practice!